An "accidental" remark he wished he had never made is behind AB de Villiers' rapid ascent into the top-rank of the world's leading batsmen, the South African said on Tuesday. 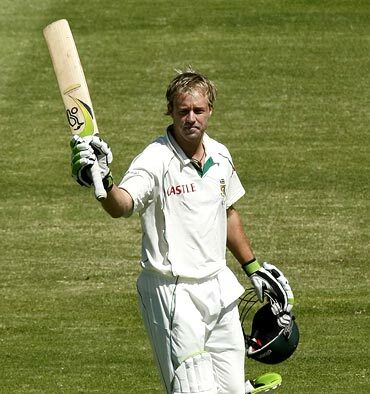 De Villiers scored an epic 278 not out, the highest individual Test score for South Africa, against Pakistan in Abu Dhabi to rise to an all-time high of fifth in the ICC Test rankings. The 26-year-old is also second in the One-Day International rankings, having been pushed off the number one spot by team mate Hashim Amla. Just over two years ago, De Villiers told a news conference he wanted to be the best batsman in the world, a comment that was generally greeted with amused scepticism as he had not been a consistently heavy scorer at international level. "I sort of said it by accident, what I meant was that it should be the dream of any international player to be the best in the world, otherwise you're playing for the wrong reasons. At the time I felt really stupid, I was saying to myself 'oh my word, now I've gone and put all this pressure on myself'," De Villiers said. "But I had this vision and I put it out there, I was open and honest and it was the best thing I could have done. I had been in a comfort zone, scoring the odd fifty and just doing well enough to stay in the team. "But I need to challenge myself, I need to raise the bar the whole time. 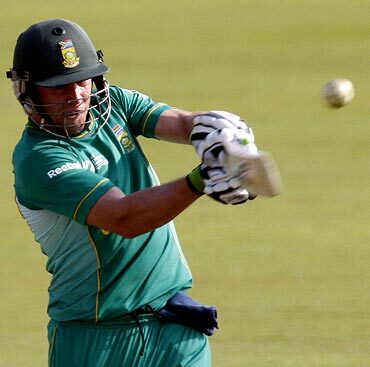 Now I'm pushing myself and I'm chasing it [the number one ranking] now," De Villiers said. 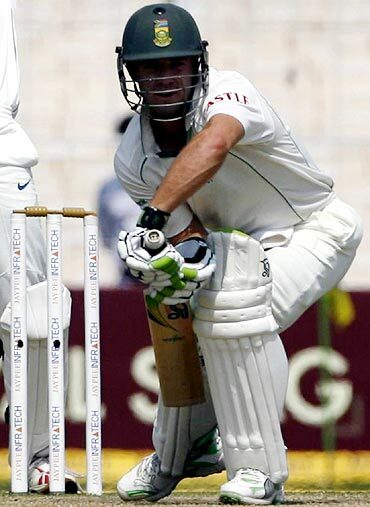 De Villiers made his Test debut against England in 2004, playing two games, the first as an opening batsman and the second as a wicketkeeper during which he scored an unbeaten 52 to help save the match. His breakthrough came in 2005, when he scored three centuries, but 2006 and 2007 brought low returns of just 957 runs in 20 Tests. De Villiers lowered his head as he leans forward on his chair. "Things have changed in the last two years, not so much in terms of technique or physically, but rather in terms of belief. I still play with the same positive mindset, but I've learnt how to play situations and, even on flat decks or against minor teams, I challenge myself. "I've definitely matured as a batsman, it comes with experience and I've travelled round a bit, it's now my seventh season of international cricket and I can read pitches and situations better. I'm a lot more patient and it's the best feeling knowing you can stick it out for a long time." De Villiers is thoughtful when asked where his career is headed to now, where the future challenges lie. The answer is in South Africa's forthcoming series against top-ranked India. "I'm not a massive one for stats and records, but to get the highest score for South Africa was unbelievable, a massive dream come true. "Playing against India is going to be a great challenge, it's number one in the world against number two and, form-wise, probably the two strongest batting line-ups in the world. "It's going to be an amazing series and we have to see who's up to the challenge on our pitches, where a 150 all out is always on the cards. 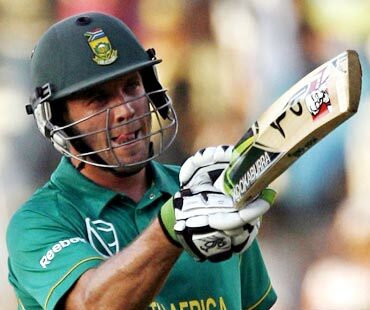 It's never easy here for batsmen, you're never in and it will be good to see who cracks first," De Villiers said. The athletic, blond-haired cricketer is an ex-scratch golfer and junior provincial rugby and tennis player, and is a member of a pop-singing duo that has just brought out their first CD. While De Villiers admits he is most comfortable when there is a ball nearby, he adds that he has found balance in his life. "When I was young, I used to hit balls by myself in the garage for hours and even now, when I go for a run, I'll have a ball in my hand. At one stage I thought I might have mental problems. "But I now know cricket is not everything, so I can play without any fear or pressure."